Reflecting back on my week, there were a number of meetings (some great, some not great), a bunch of informal conversations, one very brief review of a management memo followed by oh-so-informed comments, and some sweet time for independent analysis and writing. All in all a good week made up mostly of activities I like or, at least, don't feel compelled to start screaming into my half-caff. I believe the frustration we all have from time to time is less about what we're working on and more about feeling a lack of control over how we spend our days. And this isn’t just driven by demanding bosses. Mandates, time sinks, and distractions come from all angles. Whether its staff, a peer, a potential vendor or partner, everyone just needs a quick minute or your time and attention. To get a better sense of what exactly was going on, I scanned my calendar, then made this simple model. The goal was to get a visual picture of how I've been spending my time at work. The categories were intentionally broad and the percentages are rough guesses. Precision wasn't the goal here. In this particular week, I spent about half the time in meetings and scored quite a bit of independent work time. The percentages aside, I realized that all of this time was spent without any conscious decision driving “how” I was going to work this week. 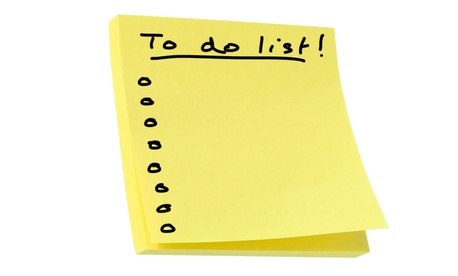 Of course, I have to-do lists, client deliverables, and personal goals but that’s the what—not the how. The scheduled meetings drove the structure and everything else filled in the gaps like pebbles and sand in the terrarium. I think most of us are the same. How we spend our time at work time happens to us with little to no intention. The problem is that this trend over time creates this sense that we lack control over our own time. Who wouldn’t hate that? So with this in mind, I propose a quick exercise for next week. On Sunday night (or Monday early), take a look at your calendar and assign rough percentages of anticipated time to the major categories—meetings, informal communications, formal communications and independent work. Proactively, make any adjustments you can to get the week more in line with your ideal "how." Then, at the end of the week, do the same thing retrospectively. Where did obligations pop up, when did meetings take less or more time, were there more off-the-record chats with colleagues, etc. Do any observations stand out? This first step in building personal awareness. The second is taking back some control of how we spend our time and better navigate the inevitable waves. Recognizing that this is common among us on a personal level, the same dynamic happens on our project teams. And the impact is magnified. Once we have a chance to observe the "how" for a little while, the adjustments needed become more obvious. For me, this would include a commitment to more productive meetings, less time fooling with executive memos and PowerPoints, more time tapping into informal communication challenges, and fencing off quiet, uninterrupted time for independent thinking. Altogether, we have a lot more influence over how we invest our time than we assert. Lamenting the distractions and wasted time year after year is really just an excuse for not taking control. Without any big announcements, you can feel better about how you’re spending your days.